In F1 Lewis Hamilton knows where his power is coming from because his Mercedes is fueled up before the race with a carefully calculated amount of fuel that depends on conditions, track layout, driving style and so on. A sailor, however, never quite knows how much power he’s going to get, which direction it will come from and how long it might last. 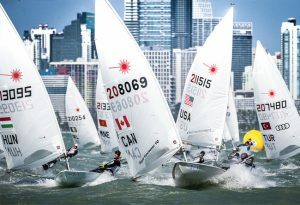 Solving the problem of predicting weather and current conditions has gone through a quantum leap in the past few years, particularly in long-distance offshore racing. But big gains are also being made in short-course competition, particularly in Olympic sailing. At the forefront of this drive for greater knowledge and forecasting accuracy is Buell Software, in Germany. 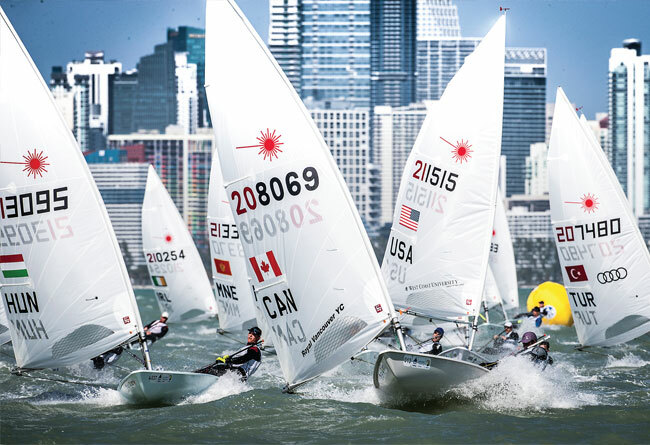 It all started just over 20 years ago when Ingo Buell, a PhD in physics, entered a national competition to win a prize fund put forward by Daimler Benz Aerosail to develop technology that would help Germany’s Olympic sailors succeed at the Atlanta Games in 1996. Aided by his Masters students at Kiel University, Buell developed some routeing software. Jochen Schümann, competing in the Soling keelboat, analysed the printouts every morning before racing. He went on to win the gold medal, and so Buell Software was born.